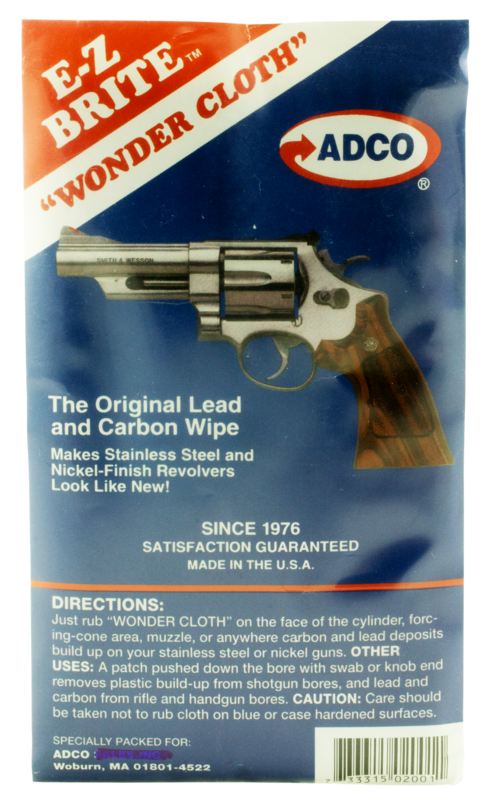 ADCO EZ1 E-Z Brite Cloth Cleaning Cloth 9" x 12"
The E-Z Brite Wonder Cloth cleans and removes lead and carbon buildup off stainless steel and nickel finished firearms. 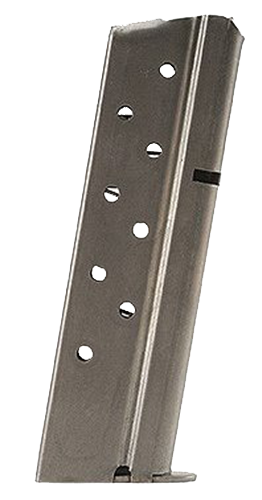 E-Z Brite easily removes plastic build-up in shotguns forward of the shell chamber. A small patch, pushed down the barrel of any gun with a swab or bore brush cleans out lead in se.. Dirty Bore Gun Cleaner is ozone friendly, odor and fragrance free. It is safe for all surfaces and doe not react with other chemistry.Type: Applicator BottleSize: 4 ozSuitable For: FirearmsEco-Friendly: Yes.. Dirty Bore Gun Cleaner is ozone friendly, odor and fragrance free. It is safe for all surfaces and doe not react with other chemistry.Type: Applicator BottleSize: 32 ozSuitable For: FirearmsEco-Friendly: Yes.. This aggressive bore cleaner quickly loosens and lifts heavy copper deposits left by jacketed bullets as they pass through the bore and removes powder fouling. Leaves rifling clean for better accuracy, longer barrel life.Type: Bore CleanerSize: 8 ozQuantity: 1Bristle Type: NoneSuitable For: Fir.. This aggressive bore cleaner quickly loosens and lifts heavy copper deposits left by jacketed bullets as they pass through the bore and removes powder fouling. Leaves rifling clean for better accuracy, longer barrel life.Type: Bore CleanerSize: 2 ozQuantity: 1Bristle Type: NoneSuitable For: Fir.. The Beretta Rifle Pull-Through Cleaning Rope features bronze, nylon and felt cleaning ropes which help maintain the cleanliness of your shotgun. The bronze acts as a Brillo pad to remove any residue, the nylon distributes the lubricating oil to "season" the firearms surface, and the felt ensures no ..
Beretta USA CK8310004800 Oiled Cloth Microfiber 11.8" x 15.7"
The Beretta Special microfiber oiled cloth is ideal for polishing wood and metal. It is reusable and is soaked with OL32.Type: Cleaning ClothSize: 11.8" x 15.7"Quantity: 1Material: MicrofiberSuitable For: Firearms.. The Beretta Shotgun Pull-Through Cleaning Rope features bronze, nylon and felt cleaning ropes which help maintain the cleanliness of your shotgun. The bronze acts as a Brillo pad to remove any residue, the nylon distributes the lubricating oil to "season" the firearms surface, and the felt ensures n..
Beretta USA CLMAT Cleaning Mat Polyester Blue 14.5" x 53.75"-14.5" x 7.5"
Easy to carry and easy to store, this handy gun cleaning mat unfolds to 14.5" x 53.75" to accommodate shotguns. 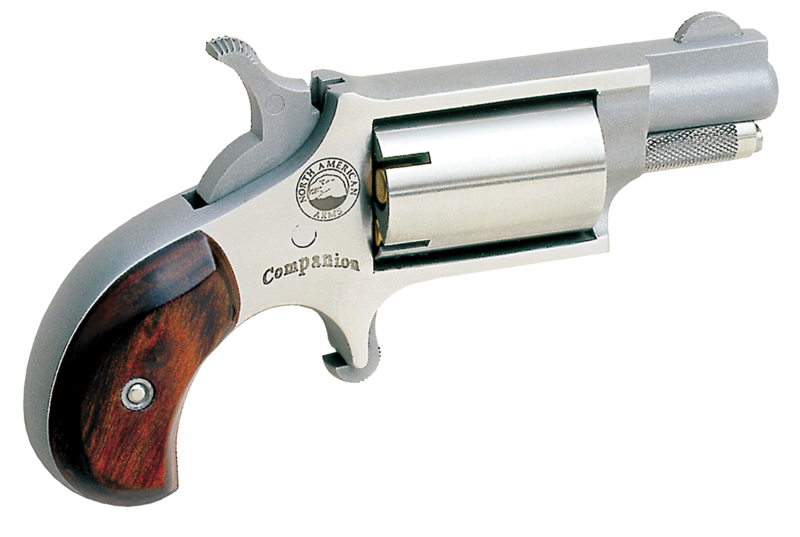 It protects both your firearm and the surface beneath. The zippered mesh bag attaches inside to keep your cleaning tools close at hand. The cleaning mat folds to 14.5" x 7.5 and is constru..
Give your guns the ultimate level of protection against corrosion with specially formulated, authentic Beretta Gun Oil. 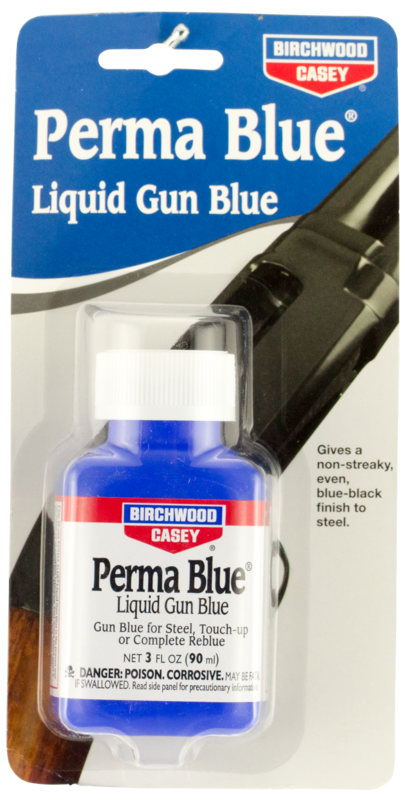 The water-repellent action cleans and seasons your firearm''s surface, reduces wear and friction between moving parts, and offers exceptional corrosion protection, even from salt s..
Birchwood Perma Blue Liquid Gun Blue is the best way to touch up scratches and worn spots or even completely reblue most guns. It will give a non-streaky, even blue-black finish to steel (except stainless). Perma Blue will not blue stainless steel, aluminum or non-ferrous metals.Type: Perma Blue Li.. The fastest and easiest way to touch up nicks and scratches is with a simple easy to use Presto Gun Blue Pen. It penetrates hard steel instantly and gives a durable blue black finish that will not rub off. Use like a marking pen for one coat coverage on non-stainless steels.Type: Gun BlueSize: 1/3.. The fastest and easiest way to touch-up nicks and scratches is with an easy-to-use PRESTO Gun Blue Pen. 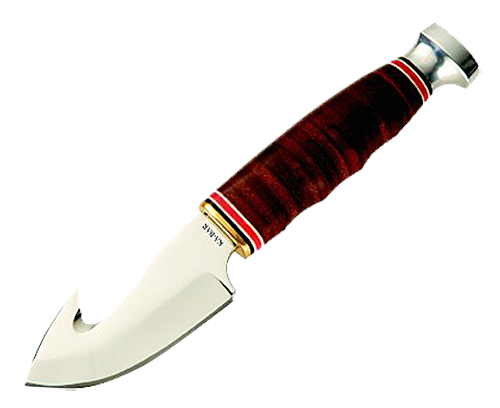 Penetrates hard steel instantly and gives a durable blue-black finish that won''t rub off. 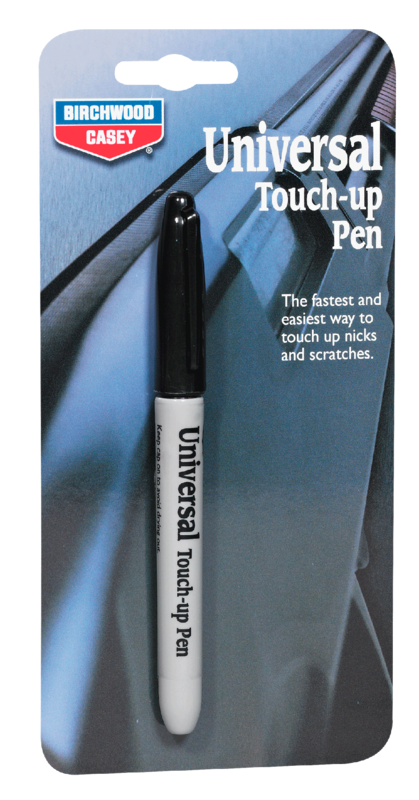 Use like a marking pen for one-coat coverage on non-stainless steels. No spill. No drip. Simply rub on wi.. The longest lasting finish, but slower to darken than the liquid blues. 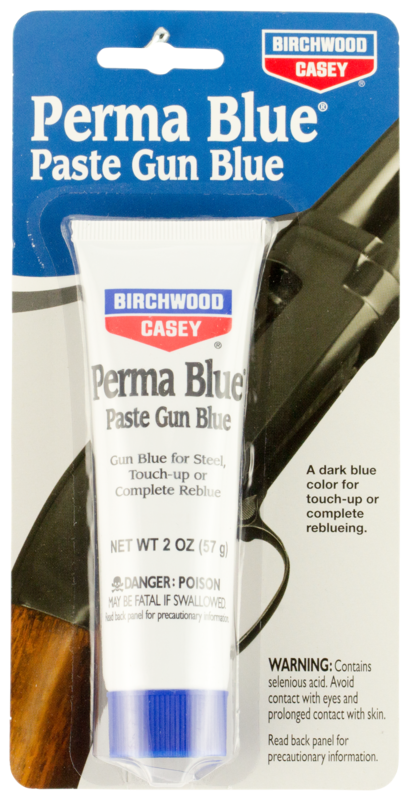 Easy to use, perma blue paste gun blue reacts slowly with the metal but builds up a denser finish that will outlast the liquid blues. 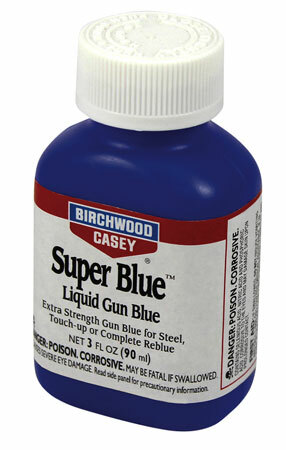 Excellent for touch up or complete reblueing.Type: Gun BlueSize: 2 ozQuantity: 1Material: ..
Birchwood Super Blue Liquid Gun Blue is designed for blueing high polished steel parts and hardened steels containing nickel and chrome alloys (except stainless). Super Blue is the blackest blue. Use caution to confine the solution to the area to be reblued, as it will have an effect on the existing..
Birchwood''s Super Blue Liquid Gun Blue is designed for blueing high polished steel parts and hardened steels containing nickel and chrome alloys (except stainless). Super Blue is the blackest blue. 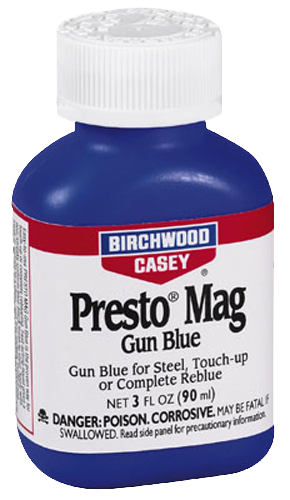 Use caution to confine the solution to the area to be reblued, as it will have an effect on the exist..
Presto Mag Gun Blue is a cold blue formulation that works on all steel (except stainless steel). 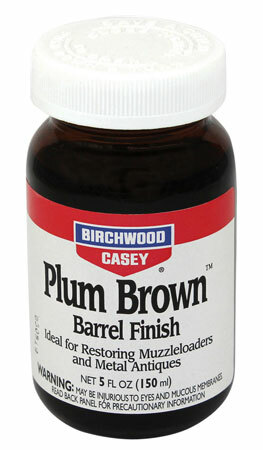 It is specifically formulated for when you want a deep blue luster on your firearm''s metal surfaces.Type: Blueing LiquidSize: 3 ozQuantity: 1Material: MultipleSuitable For: Firearms..
Birchwood''s Plum Brown Barrel finish produces a rich, authentic, old-style brown finish for restoring antique guns, muzzleloaders and other metal antiques. Simple to apply for a durable, protective and attractive finish. Just heat metal with propane torch or other convenient method and apply soluti..
An easy and effective way to touch up nicks, scratches and worn areas of black anodized aluminum or black painted surfaces. 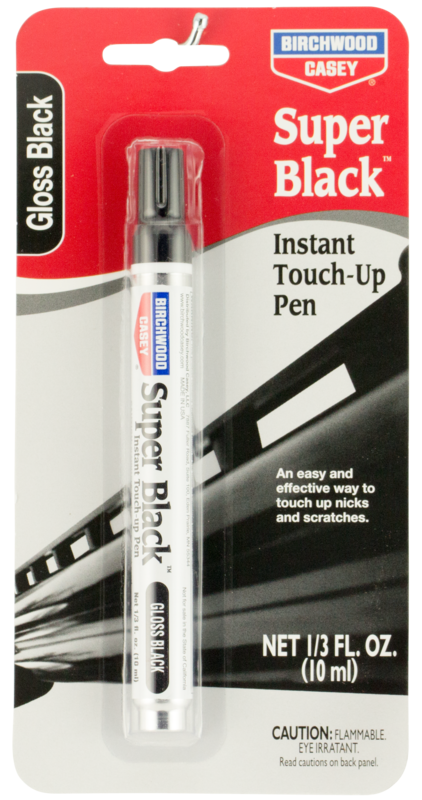 The pen contains a fast drying, lead free paint with superior adhesion and durability that helps fill in deep scratches or worn areas. The special formulations are for use on h..
Birchwood''s Aluminum Black Metal Finish is used by gunsmiths and industry to blacken aluminum parts. Restores scratched and marred areas quickly. Fast acting liquid is easy to apply with no dimensional change. The color will vary from deep gray to black depending on alloy. 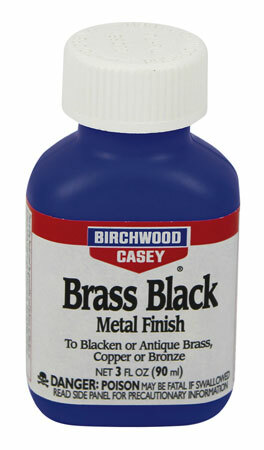 Aluminum Black is also ex..
Birchwood''s Brass Black Touch-up is a fast acting liquid used by gunsmiths and industry to blacken or antique brass, copper and bronze parts. It is easy to apply with no dimensional change and often used to mark cartridge cases to identify loads. Excellent for blackening name plates, plaques, casti..
Blue and Rust Remover is a safe, reliable solution that removes rust and old blue easily and quickly without damaging base metal. 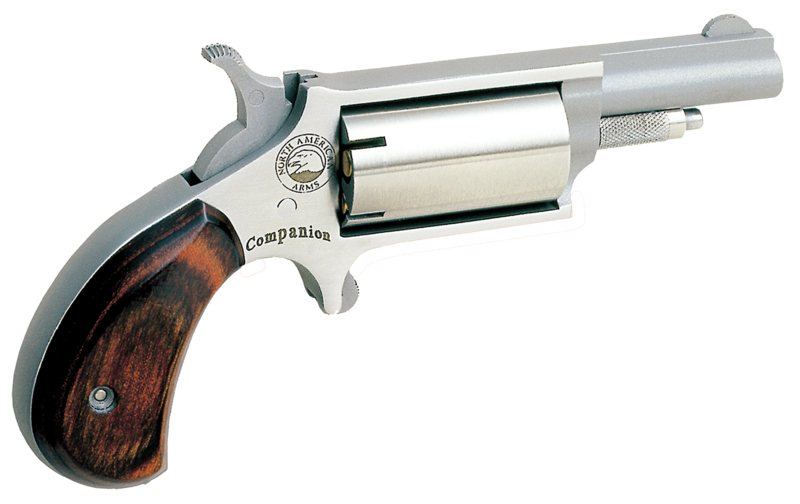 Safe for removing old finish from firearms, muzzleloaders and antiques. 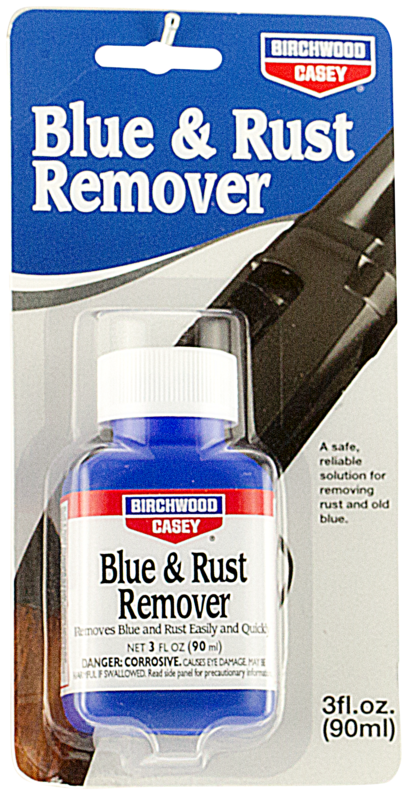 Also excellent for removing rust from tools, gauges and precision instruments.Type: Blue & Rust R..
Cleaner/Degreaser Liquid is a safe, easy and effective way to clean your firearm thoroughly or as a preparatory cleaner for blueing or browning. 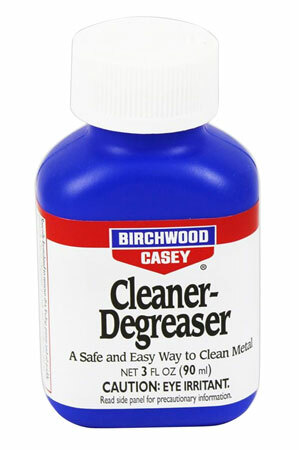 It is specially formulated to remove dirt, fouling, grease and oil quickly and easily.Type: DegreaserSize: 3 ozQuantity: 1Material: MultipleSuitable Fo..
Birchwood Deluxe Blueing & Stock Finish Kit is the easy to use kit for making that old favorite look new again. 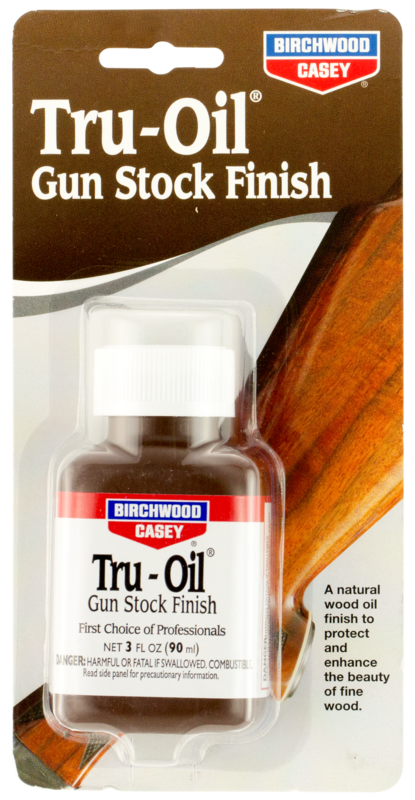 The Perma Blue Liquid Gun Blue and Tru-Oil Gun Stock Finish are leaders in blueing and stock finishing. 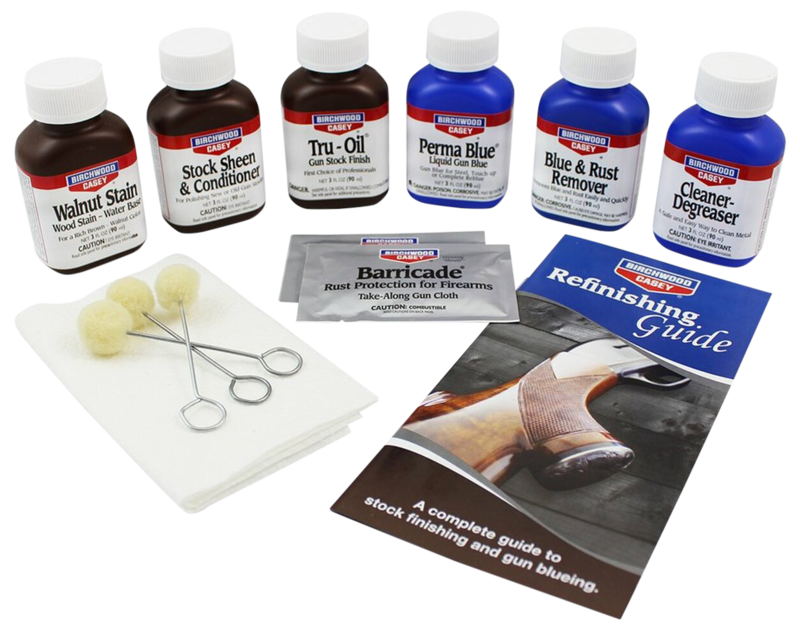 Kit includes- 3 oz Perma Blue Liquid Gun Blue, 3 oz Tru-Oil Gun Stock Finish, 3 oz C.. It''s unique blend of linseed and natural oils dries fast and will not cloud, yellow or crack with age and resists water damage. Tru-Oil penetrates deeply and forms a tough, clear, hard finish that protects and enhances the beauty of fine woods. For a hand rubbed, satin luster, simply buff with stee..